Monroe Gallery of Photography, 112 Don Gaspar, Sante Fe, NM, is pleased to announce “A Thousand Words: Masters of Photojournalism”, an exhibition of more than 60 great photographs from the field of photojournalism. The exhibition opens with a public reception on July 3 from 5 – 7 pm, and will continue through September 25. Additional information is available here. 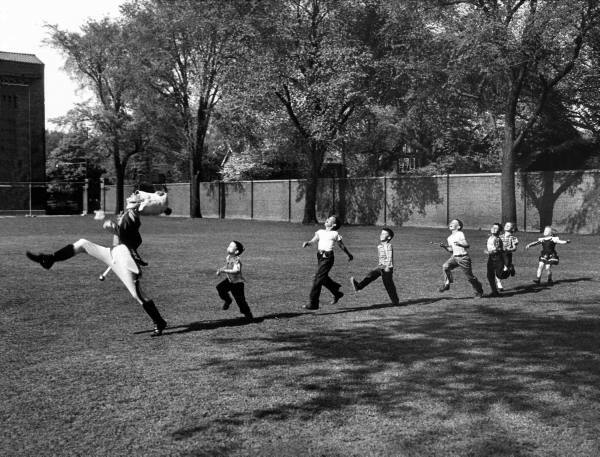 Photograph taken in Ann Arbor, Michigan in October 1950 by Alfred Eisenstaedt/Life. ← Previous PostPhotographing Poverty: Realism or Sentimentality?